We have a large range of fabrics available to be viewed in our showrooms or if you'd prefer we can have curtains made to your choice of fabric from outlets such as John Lewis etc. 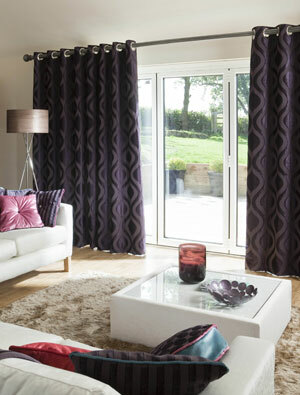 In a lot of cases we can organise to have the fabrics purchased on your behalf. We just need to know the name and manufacturer of the fabric. Ordering this way covers you against any flaws in the fabric being present. If flaws are found on the finished product they will be replaced with no cost to yourself. Poles are available in metal and wood, and tracks are available corded or uncorded.